Stripes Tie. 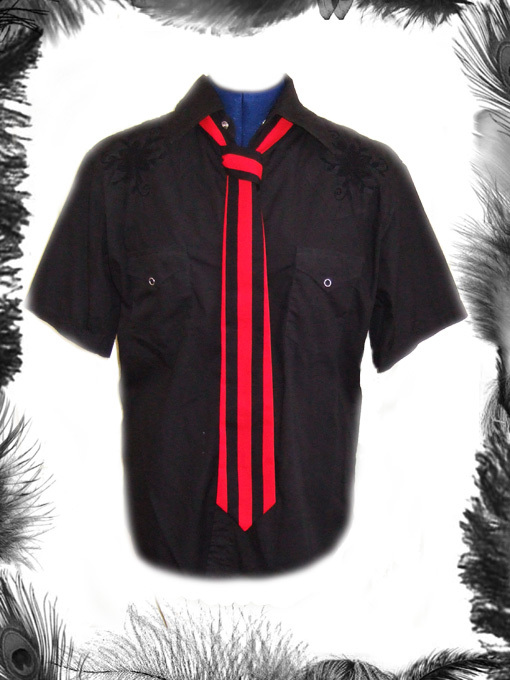 Gothic, Mod, Retro wear. Available in red & black as pictured or white & black stripes.